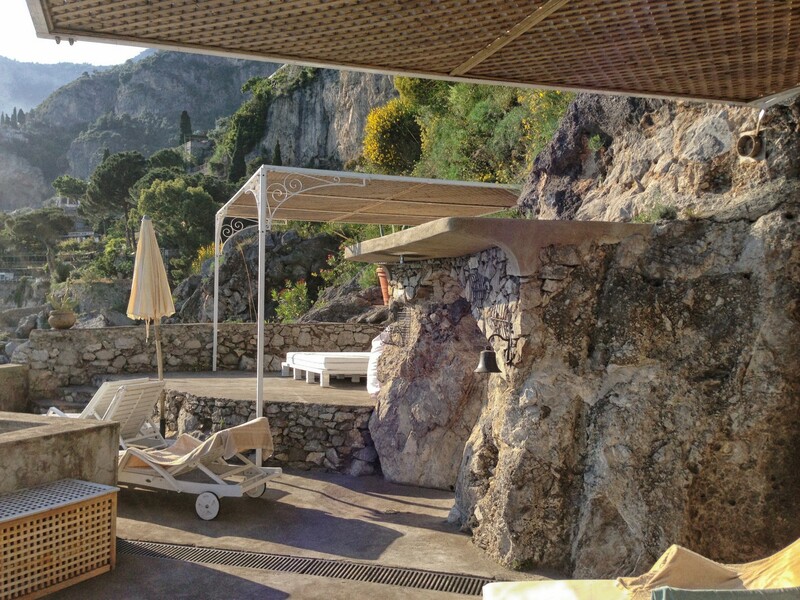 Villa Il Sogno is a fabulous property, set beautifully along the Amalfi Coast, about 1 km from the luxurious town of Positano. 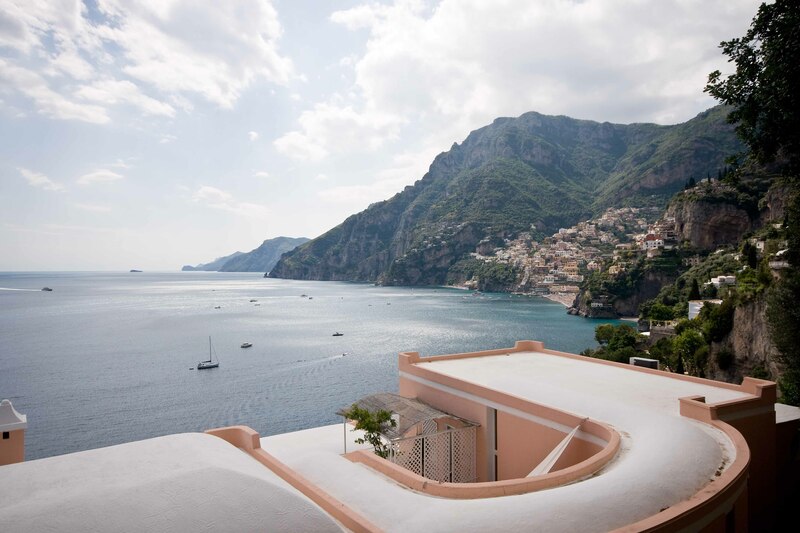 This exceptional villa is undoubtedly one of Positano’s most impressive private homes, perched in a prestigious position, emerged in the cliffs of the hillside high above the Mediterranean, surrounded by lush vegetation. 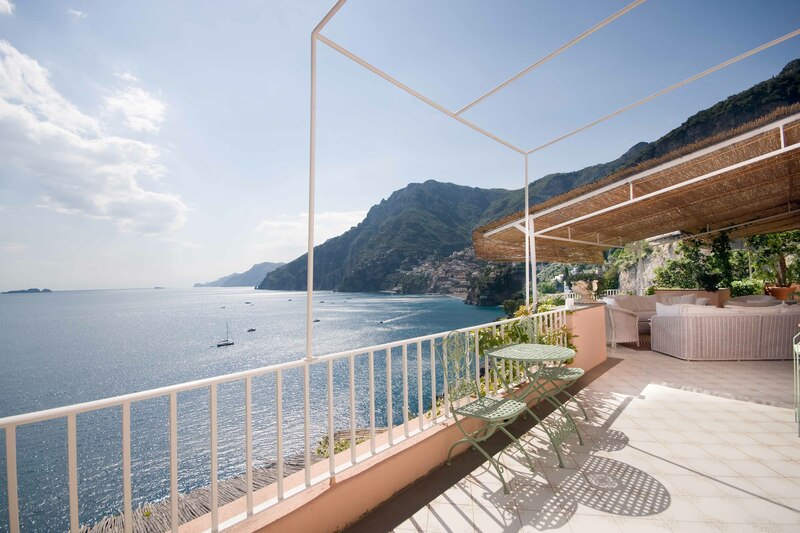 Its peaceful and private position allows you to enjoy breathtaking views of Positano, the enchanting coastline, and the Mediterranean Sea, with the Li Galli islands and the island of Capri as your backgrounds. 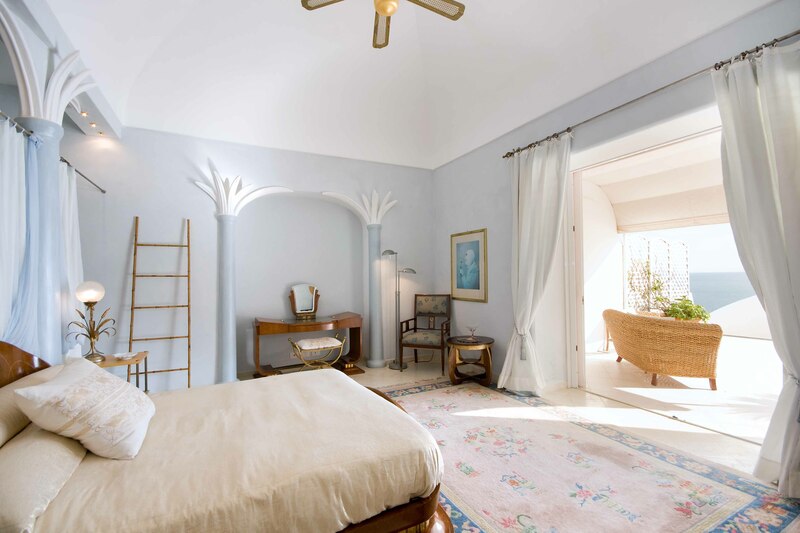 Villa Il Sogno will become known to its guests for its elegance, fantastic panoramic views, and stylish mixture of architectural elements and furnishings, which have all contributed to create a truly luxurious home in a very tasteful, Mediterranean style. 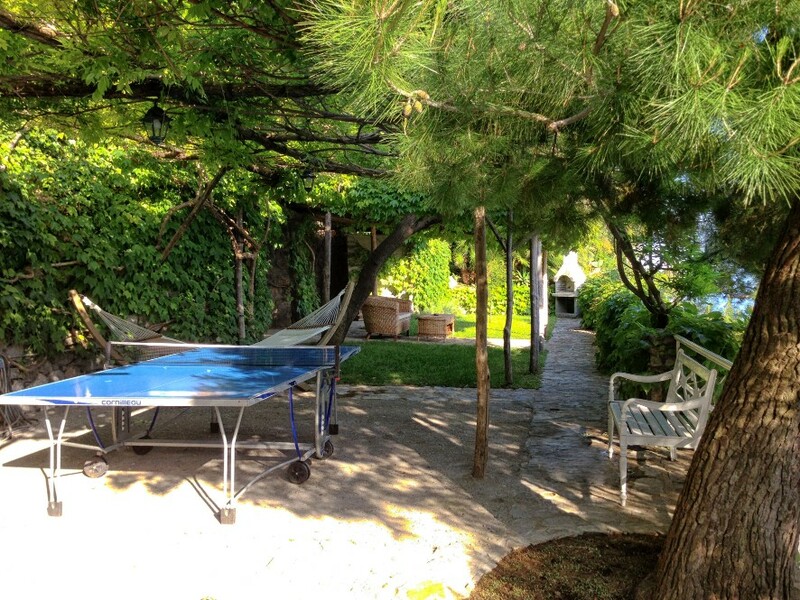 All details have been cured and the property and surrounding gardens are constantly maintained and renovated. 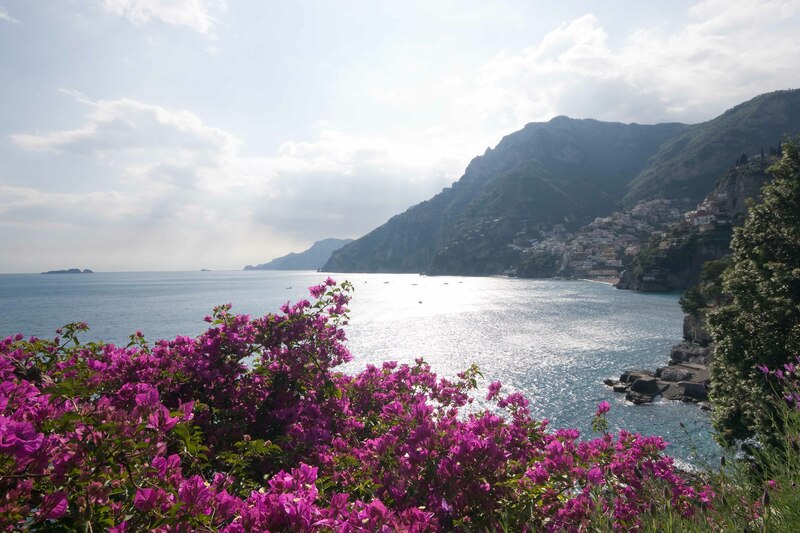 Il Sogno is located on the seaside and is reachable by walking up (from the sea) approximately 270 steps along a hibiscus-lined pathway or by walking 190 steps down to its entrance from the main road (porter service for bags is available). 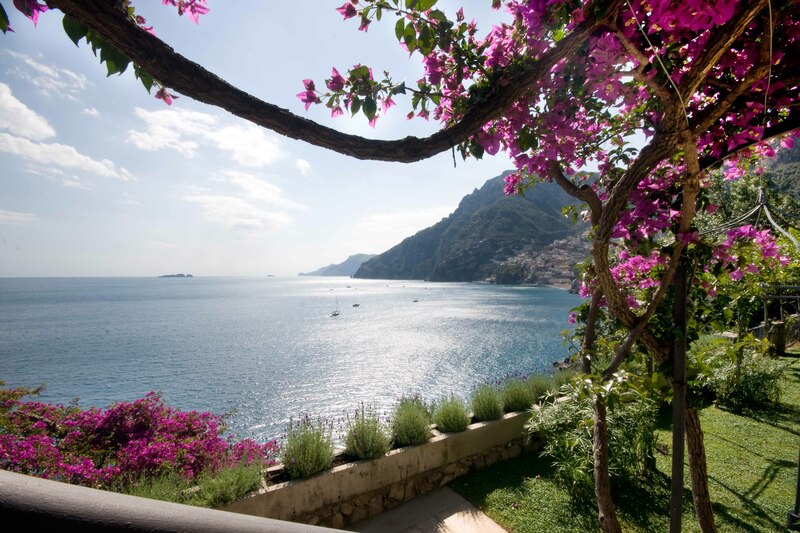 The villa is divided onto three levels and offers large panoramic windows and extensive terraces beautifully landscaped with plants, flowers, and perfumed lemon trees. The interiors are spacious and fresh with high vaulted ceilings and beautiful toned pastel colors throughout. The rooms are very elegantly decorated and comfortably furnished, enjoying a mixture of antiques and tasteful contemporary furniture. All bedrooms have air conditioning and heating – some also have a ceiling fan. 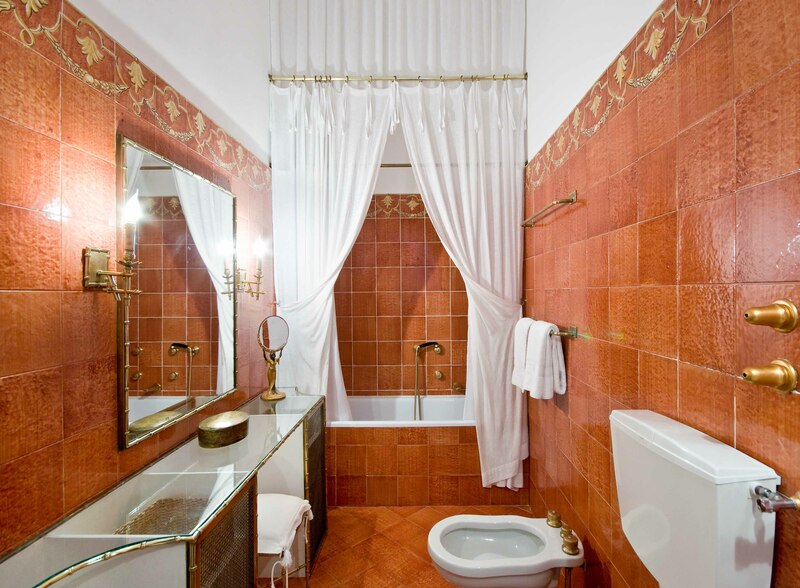 All enjoy en-suite bathrooms. The villa is reachable by walking approximately 190 steps along a pathway down from the main coastal road OR from the sea level; the villa is reachable by walking up 270 steps, through a hibiscus-shaded pathway. Superb property. Boat rental available. 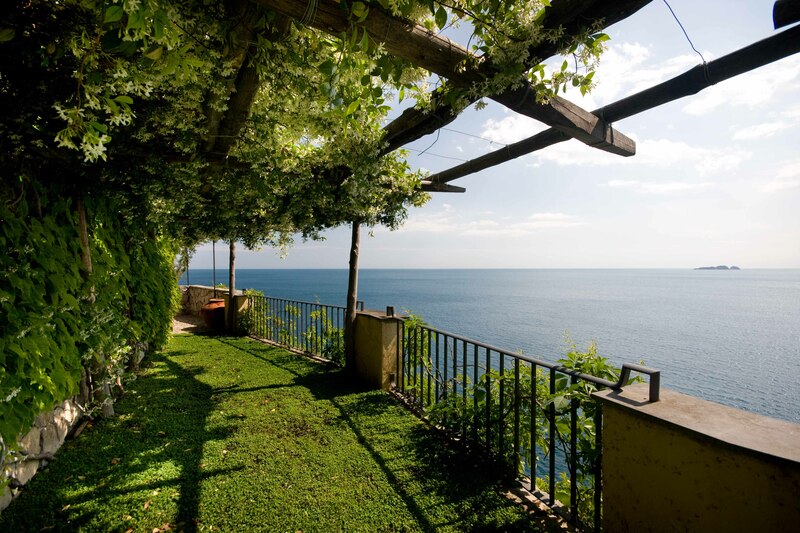 This beautiful villa is, however, recommended for those who do not mind the many stairs that intertwine the property. A car is recommended when staying at this property (approx. 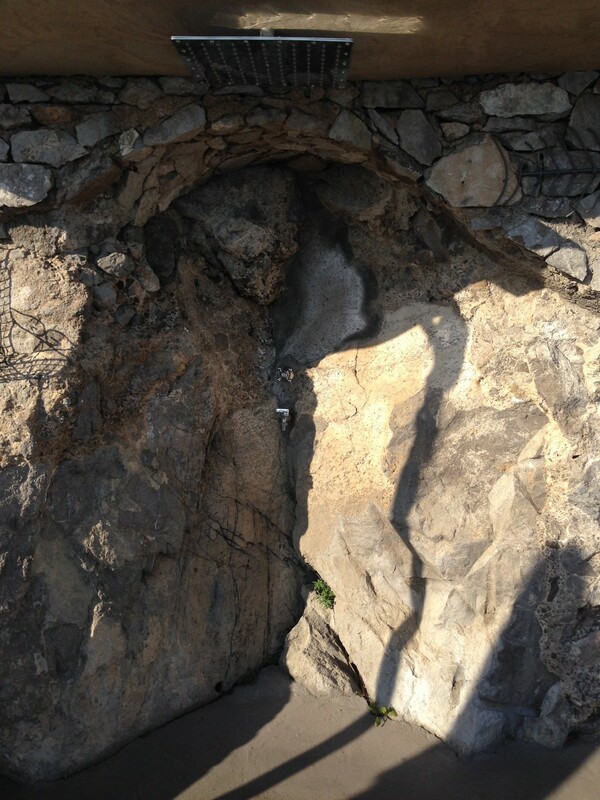 0.04 of a mile outside of Positano). 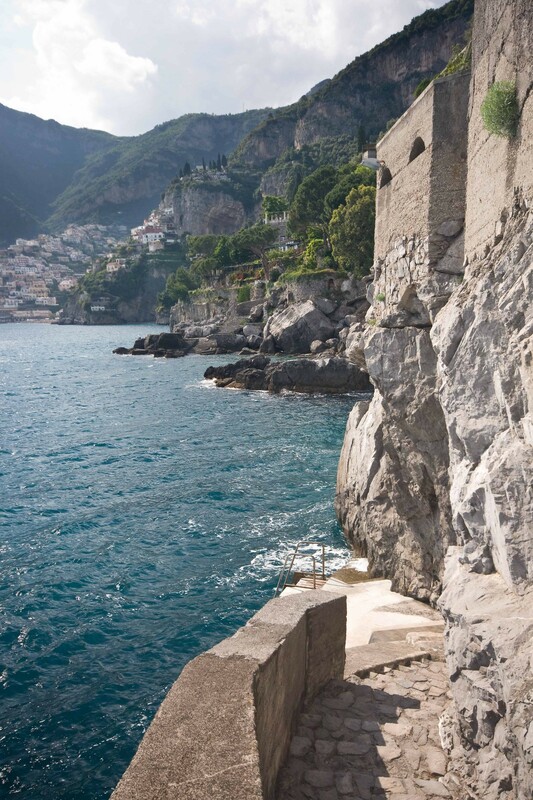 The villa has no private car parking, but as is common practice along the Amalfi Coast, cars can be left roadside. The property is intended for 8 persons, however, upon request, a ninth person can be accommodated (please confirm at time of reservation). Porter service: will deliver the luggage from the main street to the entrance of the Villa only the arrival and departure. This applies for only 1 piece of luggage per person per week. To use this service, please contact the Owner at least 1 hour in advance. The garden area has small bar with refrigerator, table tennis, outdoor hammock barbecue, toilet, outdoor shower, diving platform, and boat landing. 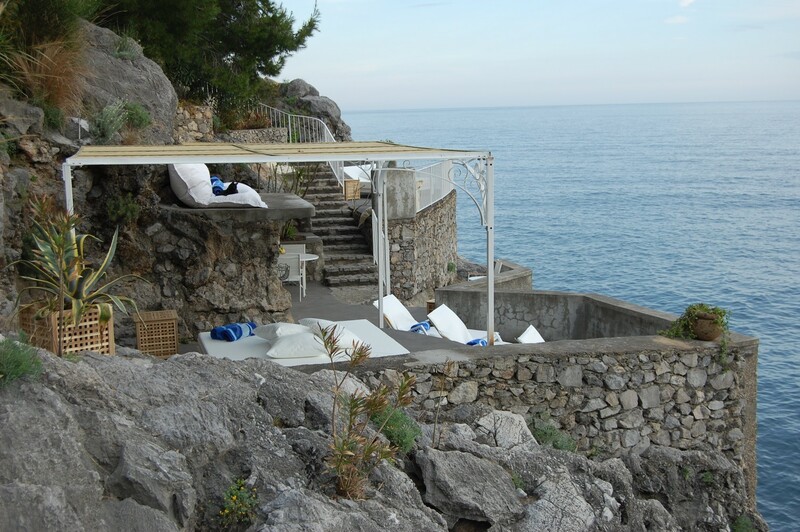 The entire Villa and specifically the terraces and the roof terraces are dangerous for children. However, children between 12 and 18 years old are welcome, but the owner has to be advised before confirming the booking. Children under 12 years old, can only be accommodated on request, and are subject to the Owner’s approval before confirming the booking. In case of acceptance, the party shall come over with their personal babysitter for the full stay. Children, will be counted as a full charging guest. The Villa’s owner and its employees, in all legal respects, assume no responsibility or liability for any claims arising from injury or accident for children. In case of the arrival of children of which the owner has not be informed about, there will be a charge of Euro 500,00 per week / per child plus babysitting costs. 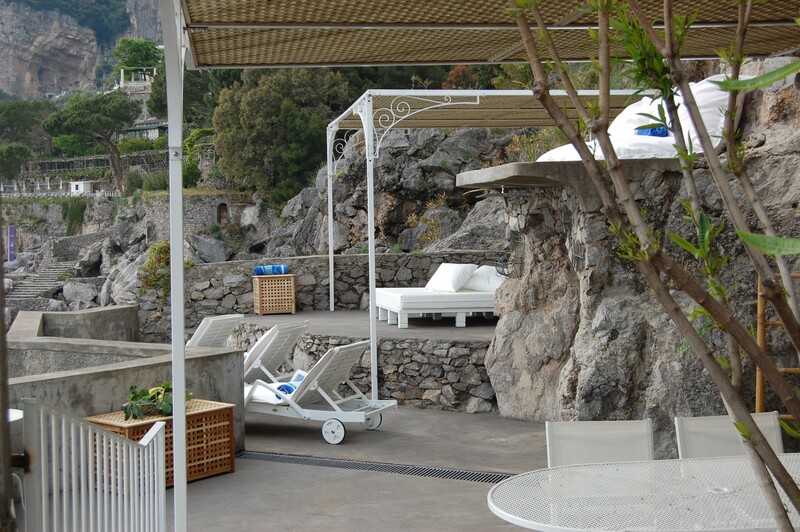 The villa accommodates maximum 10 persons. – In case of increasing the number of guests, the owner has to agree before confirming the booking. – In case of unexpected arrival of extra guests during the stay, the owner has the right to charge an extra charge. 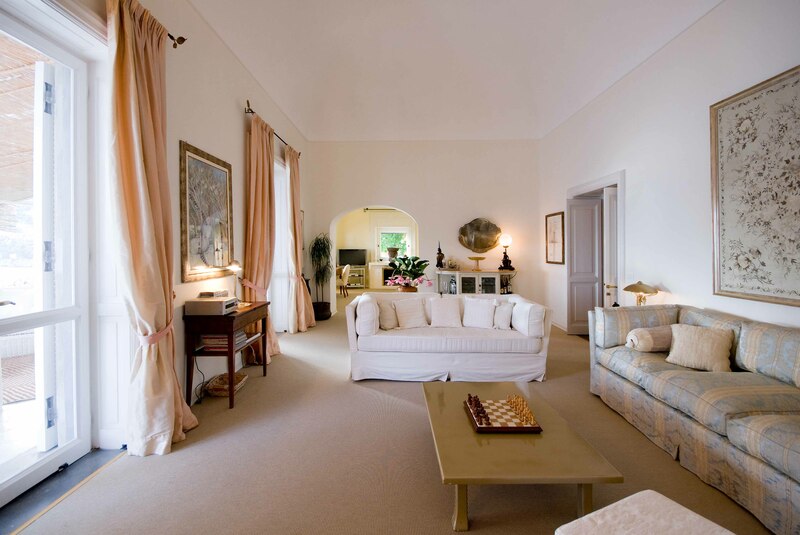 – When outside guests are invited to the Villa the villa’s staff should be informed 1 day in advance. No animals/pets are accepted at the Villa. Private laundry (washing and ironing) will be done by the staff with an extra charge of Euro 2,50 per piece. Telephone/Fax is at Guests’ private disposal. The telephone reading will be taken upon arrival and usage will be calculated through a phone call to the Italian telephone company. The Villa has a good coverage of Mobile networks. On request a 3 courses meal (Chef’s choice) can be served on day of arrival but not later than 8 PM. Upon arrival the Villa is stocked with essential items for cooking. The cost of these items will be added to the grocery bill when consumed. During the stay the Chef should be informed of lunch and dinner one day before, to do the shopping in time. Guests can choose from the villa’s selection of high quality wines and champagnes displayed in the suggestive Villa’s wine cellar. The Chef will present all receipts for all purchased food & beverage items. 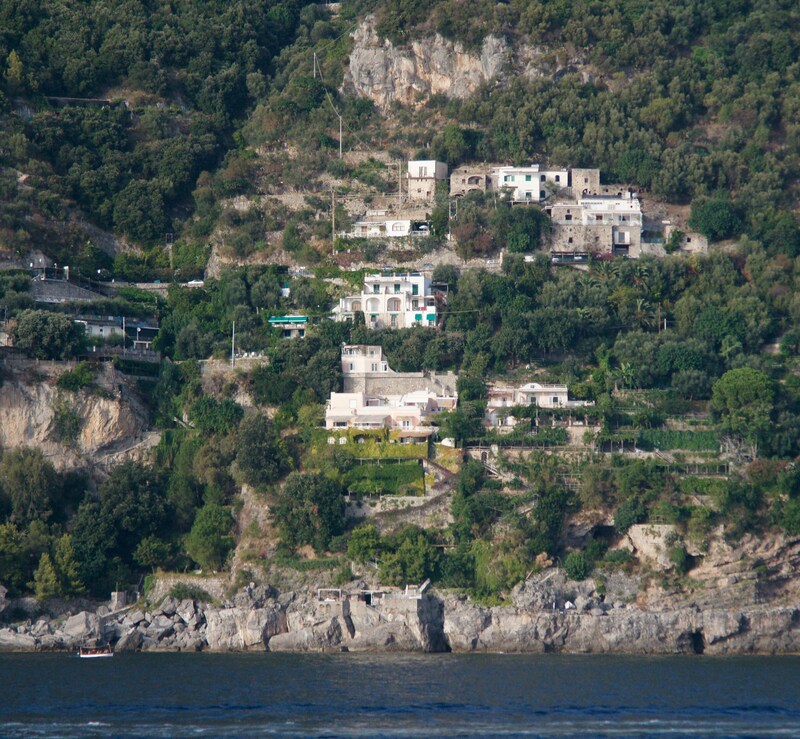 Excursions, boat trips, transfers, dinner reservations, wine tasting and eno – gastronomic tours can be easily arranged. Upper level: The main entrance to the villa leads into a circular hallway with a ceramic tile floor and Venetian stucco decorated walls. This hallway leads to the sleeping area. On the left lies the enchanting master bedroom, furnished with a large wooden base double bed, ornamented by decorative columns. The room has a light blue and white color and marble floor, interrupted only by a beautifully colorful oriental-inspired carpet. The room has two armchairs, 2 dowry seats and small table with mirror. 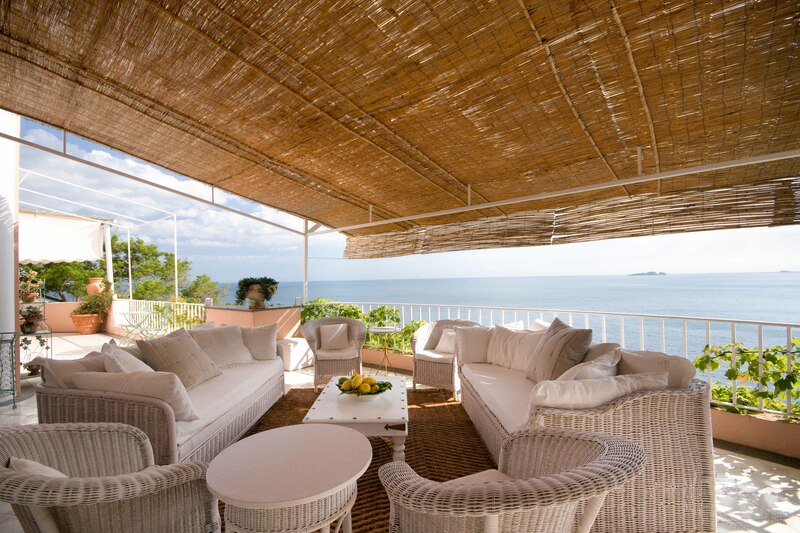 The room offers a spectacular sea view through large sliding doors that lead out onto a terrace with two lounge chairs. Dressing corner with wardrobe, large mirror, chair and dresser. 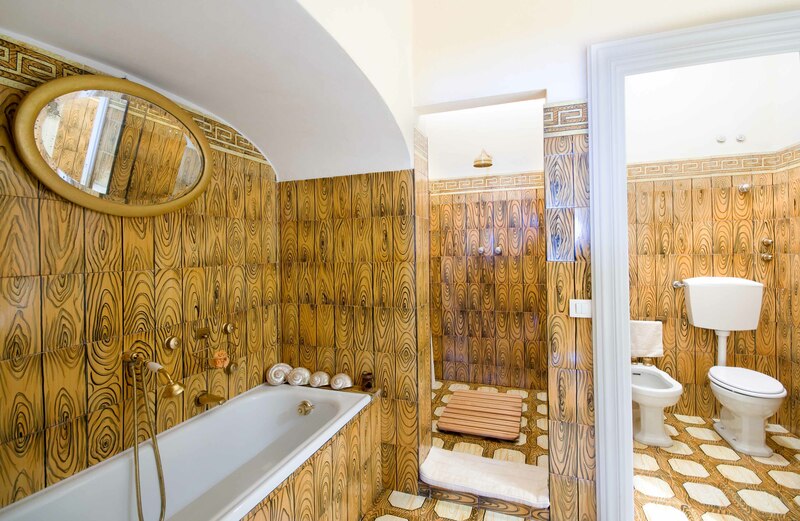 The en-suite bathroom is delightful with marble tiles, two windows, a large wall mounted shower/tub decorated with mosaics, 2 sinks with mirror, chair, and hairdryer. The opposite side of the entrance hall leads to the second bedroom; a salmon-colored spectacle with tiled floors and wicker carpets. It enjoys a sliding door leading onto a small, shaded balcony, with a built-in bench for 1-2 people. 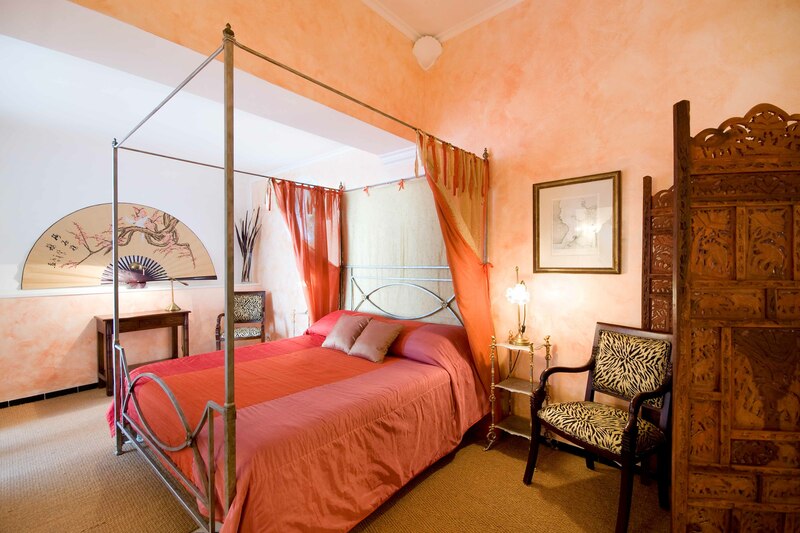 The room is furnished with an iron cast double bed, a divider with mirror and two designer chairs. Dressing corner with wardrobe, dresser and intarsia wood divider; telephone. En-suite tiled bathroom with window and large shower box, mirror and hair dryer. 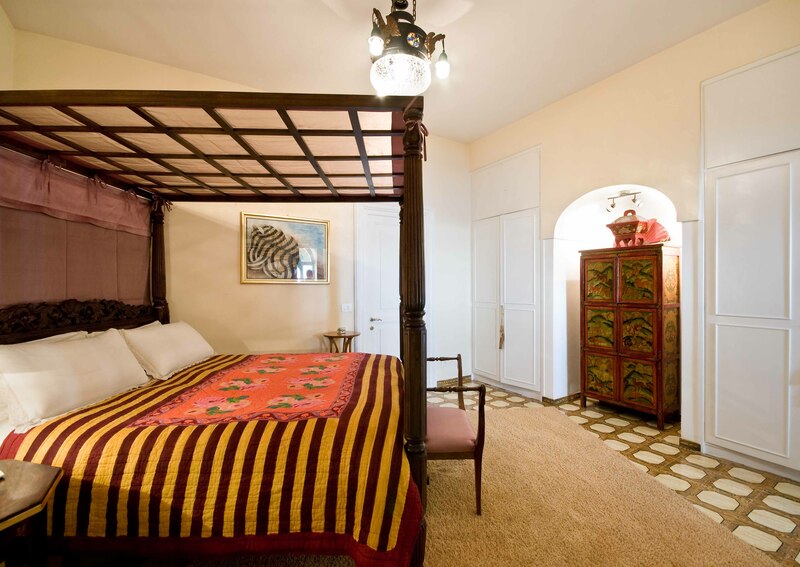 The third bedroom is kept in a beautiful golden beige color with orange caftan tents and white tiled floors with floral decorations. Dressing corner separates to the sleeping area with a tent and furnished with wooden dresser, chair and large mirror. The room has a double bed, large wardrobe, small wooden desk, and a beautiful crystal lamp; telephone. A panoramic window offers spectacular sea views. 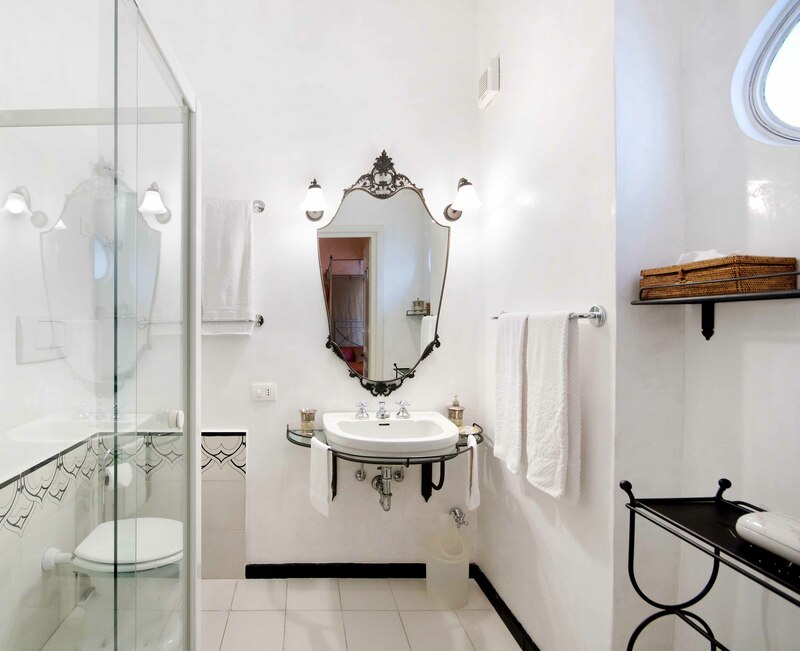 En-suite bathroom with bathtub, sink with mirror, small table with stool and hairdryer. The master bedroom and the third double bedroom both share a wonderful rooftop terrace offering incredible views over the entire coastline. 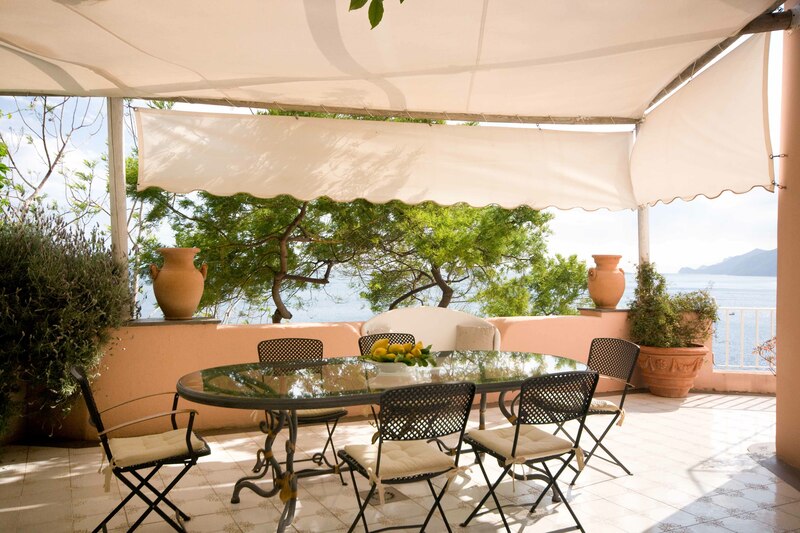 Each room, however, enjoys a small private enclave to the terrace, each with a pergola-shaded area furnished with elegant wooden sun lounge chairs. 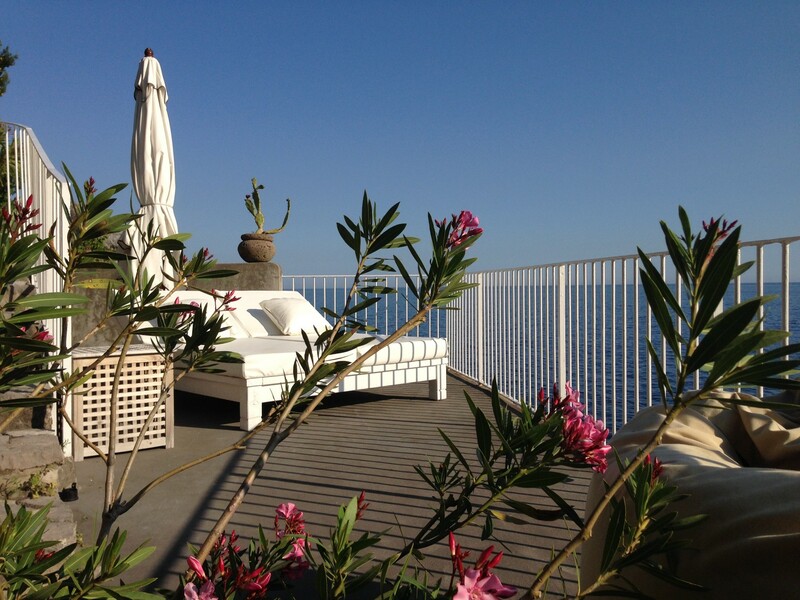 The terrace is entirely tiled with white tiles and set with large potted Mediterranean plants – a peaceful and panoramic spot, ideal for relaxing and sun bathing. Lower level: 24 steps lead from the main entrance hall down to an area with antique wooden furniture that leads into the living areas, the kitchen and a bedroom. A crystal lamp ornaments a double bed bedroom painted in a warm beige color, with tile floors. 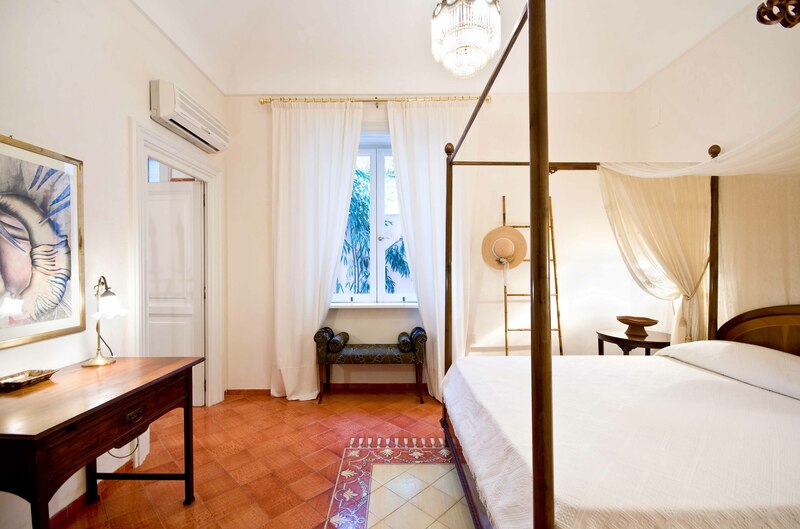 The room has an antique baldachin bed and wooden furniture, armchair, small table, and bedside tables. Dressing corner with large wardrobe, dresser, mirror, and chair. 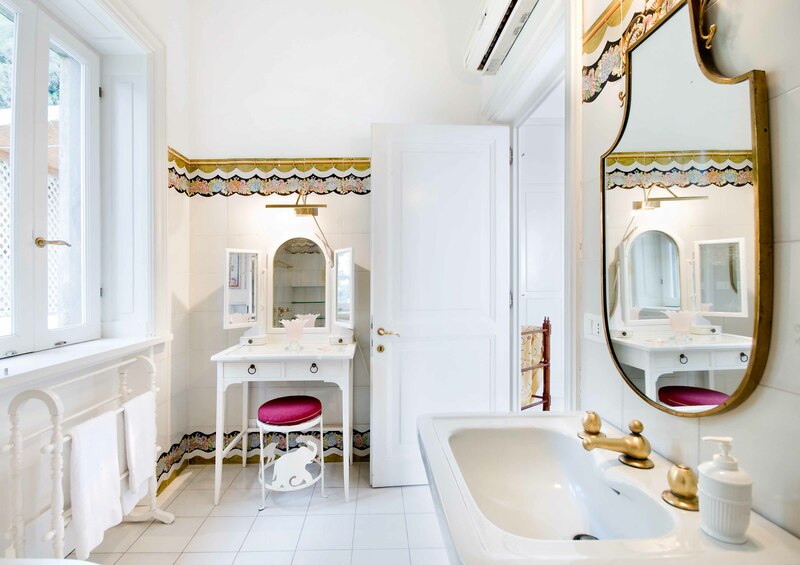 Spacious en-suite tiled bathroom bathtub and shower, furnished with a glass-topped desk with a large mirror, sink, hairdryer, and window. The living areas are the centre of the house and are divided into a living room, lounge, and dining area. 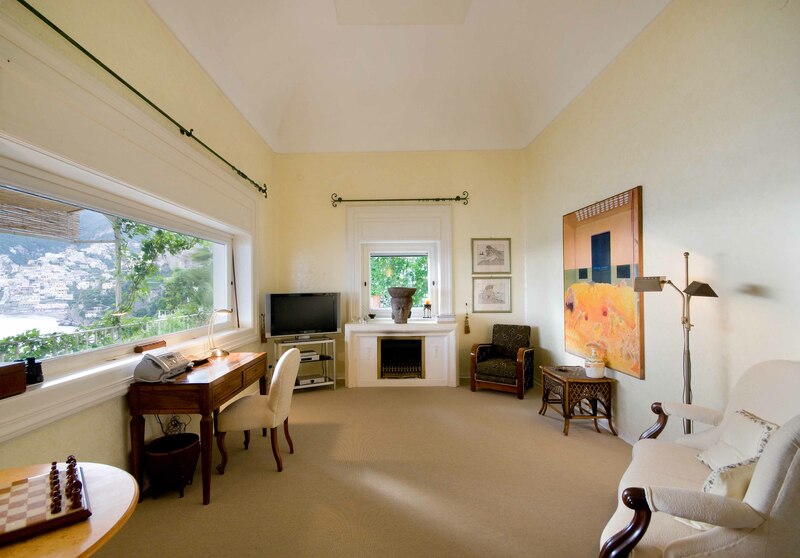 The living areas are covered in wall-to wall carpet; enjoy light colors and nice furnishing and paintings. The lounge area, to one side, is painted in a light green color, with a wicker sofa, 2 comfortable wicker chairs with cushions, armchairs, small wooden tables, and a chess set. The lounge also boasts a gas fireplace and has a Satellite TV, DVD, and VHR. 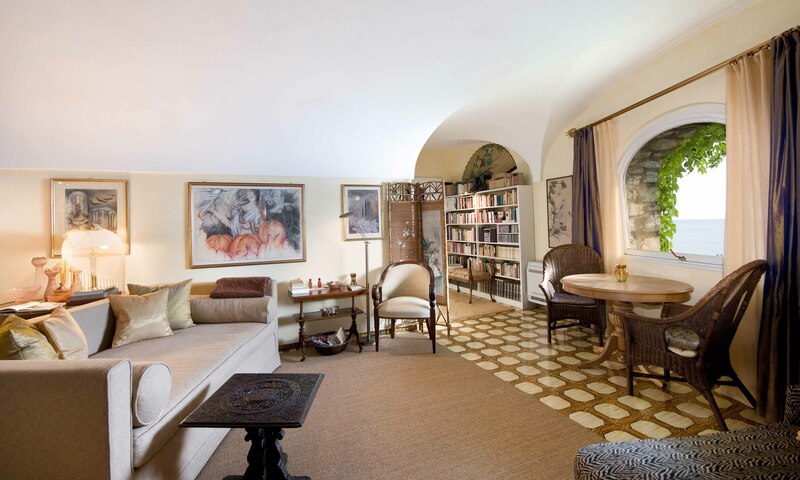 The main living room – divided by the lounge only through an archway – is furnished with large sofas, a chaise lounge, 2 armchairs, and a wicker chair. The living room has large lamps, silverware, and other cozy belongings making the ambience intimate. 2 sliding doors lead out onto the furnished terrace. 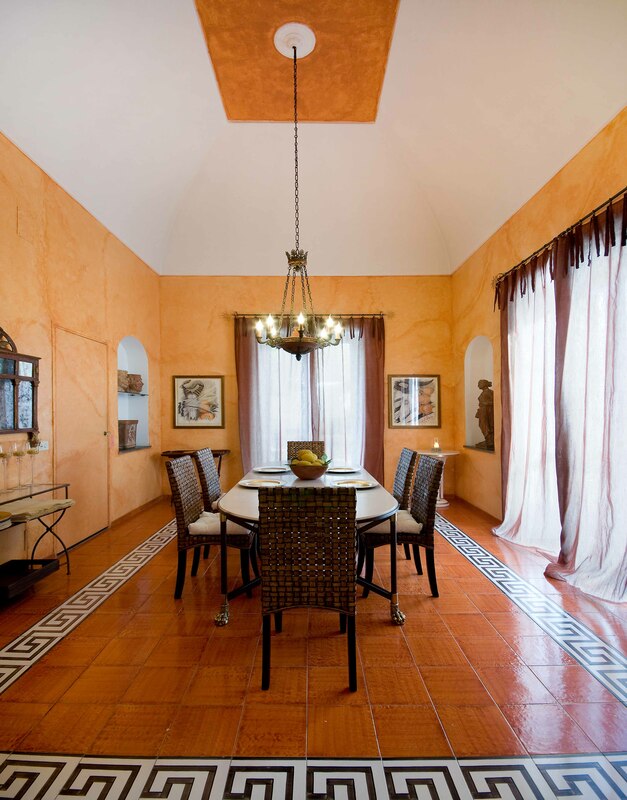 To the left of the main living room sits a wonderful dining room in Pompeian style, painted in a warm orange color with niches in the walls hosting antique terracotta statues and vases. Terracotta tiled floors and dark, red tents complete the furnishings. The dining room is furnished with a large marble table, small service tables, and leather chairs. French doors lead out onto the terrace, on one side, and into the kitchen, on the other. A super-panoramic terrace runs the length of the house. It boasts a very comfortable and inviting outdoor lounge covered with bamboo drapes for creating shade and lined by Mediterranean vegetation. The lounge area is furnished with 2 sofas, 4 arm chairs a small wooden table and carpet. 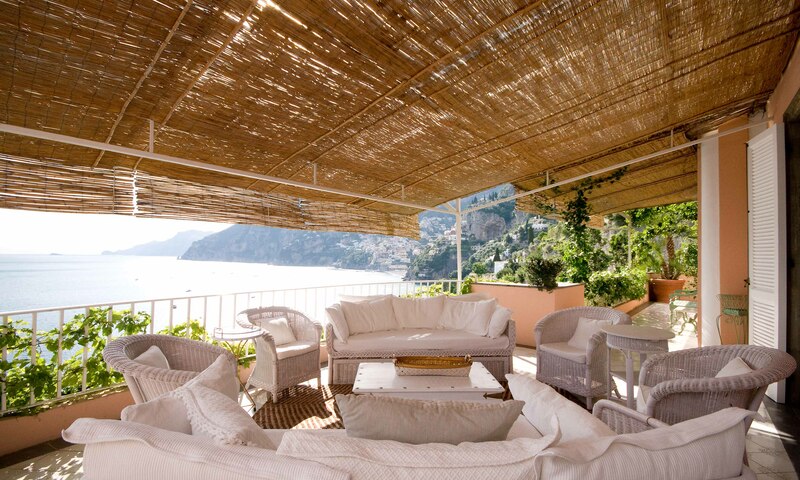 It features a stunning sea view extending towards the entire coastline – absolutely spectacular especially in the evening, when the coastline and the town of Positano are both lit up while the days small fishing boats slowly pass by. The outdoor dining area is accessible from the kitchen and is also shaded by bamboo drapes and a huge lemon tree. The dining area is furnished with a large wooden table and wicker chairs. A built-in bench seating 2 and a marble-serving table complete the furnishing. Another small corner of the terrace enjoys a small table and two chairs. 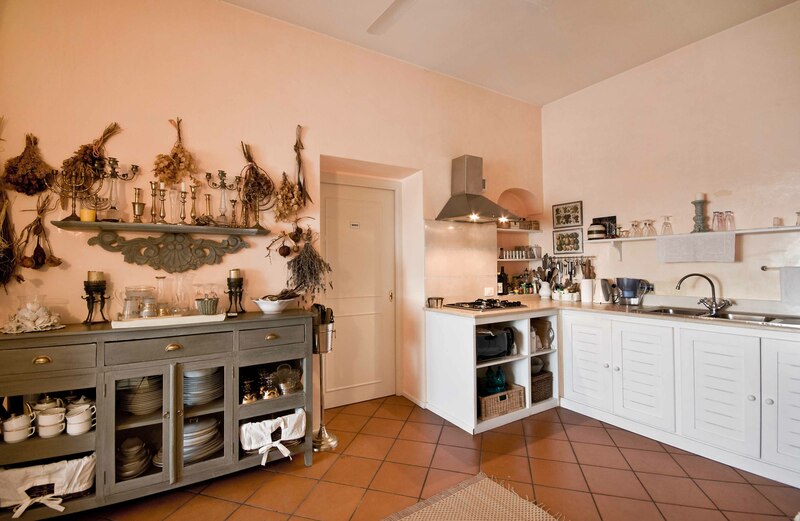 The spacious kitchen is styled with a beautiful Mediterranean ambiance and terracotta tile floors. It is fully equipped with 3 refrigerators (1 with an ice-maker), two freezers, 4-range stovetop, oven, microwave, espresso and electric coffee machines, and dishwasher. Laundry room with washing machine an ironing facilities. The kitchen provides access to the terraces’ dining area. 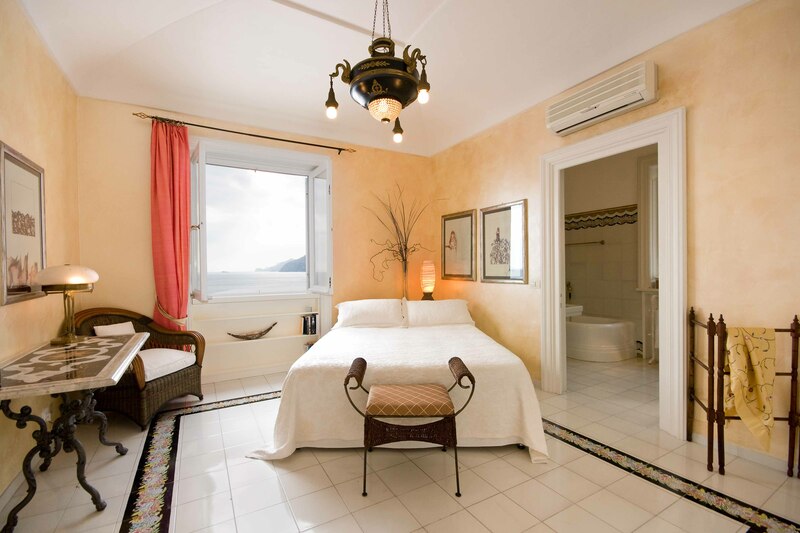 A small single bedroom, designed in a light yellow color with white tiled floors, is accessible from the terrace. The single bedroom is furnished with a wardrobe, wicker armchairs, bedside table, small desk with mirror, and built-in bed with baldachin. 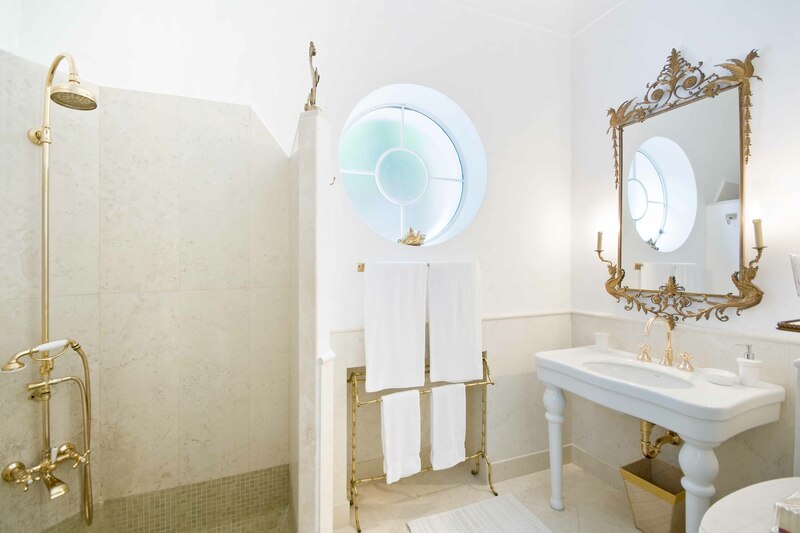 En-suite bathroom with shower box, marble sink with mirror, and hairdryer. A courtyard, shaded by a canvas roof and furnished with a large glass-topped iron table, 4 iron chairs and a small bench, completes the lower level floor, providing it with yet another area for relaxing or enjoying breakfast outside. 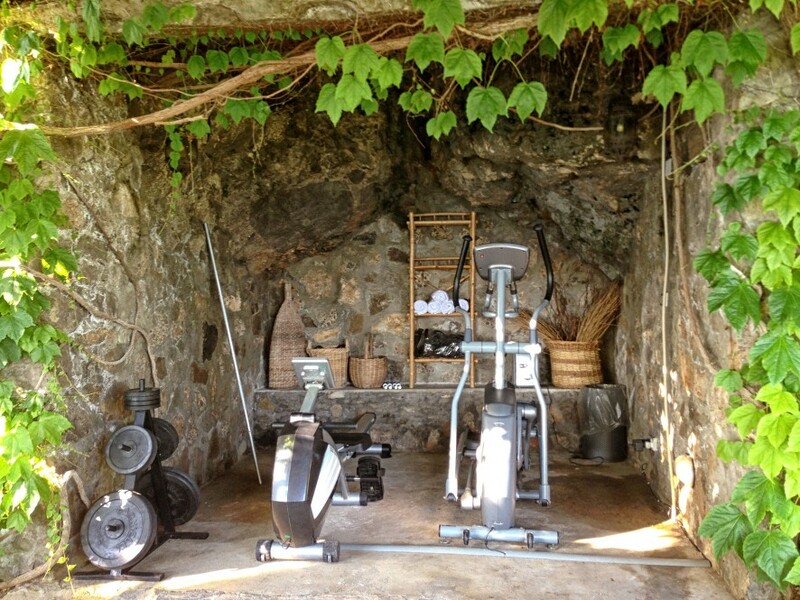 A small corner of the courtyard is organized as a covered gym; beautifully decorated with niches and antique statues. They gym corner comes equipped with an electronic exercise bike, weight bench with weights, step machine, and professional massage table. A masseuse is available upon request. Garden areas, dock, and waterfront level: The garden area is accessible from both the terrace and directly from the main entrance to the villa. 67 stairs lead from the main house down to a first garden level where you can relax and enjoy the views on a small iron bench; the garden level is ‘roofed’ entirely by flowers and plants. 36 steps further down lead to the second garden area, planted with grass, trees, and perfumed rosemary. The garden has a small pavilion furnished with a small table and iron stools. The beautiful violet Hibiscus leads all the way down to the sea. 63 steps lead down to the paved terrace and garden area where a pin-pong (table tennis), barbecue, and bar with small refrigerator and sink can be stocked for guests’ disposal. The area is shaded by a bamboo drapes. There is also a ½ bath where the barbeque is located. 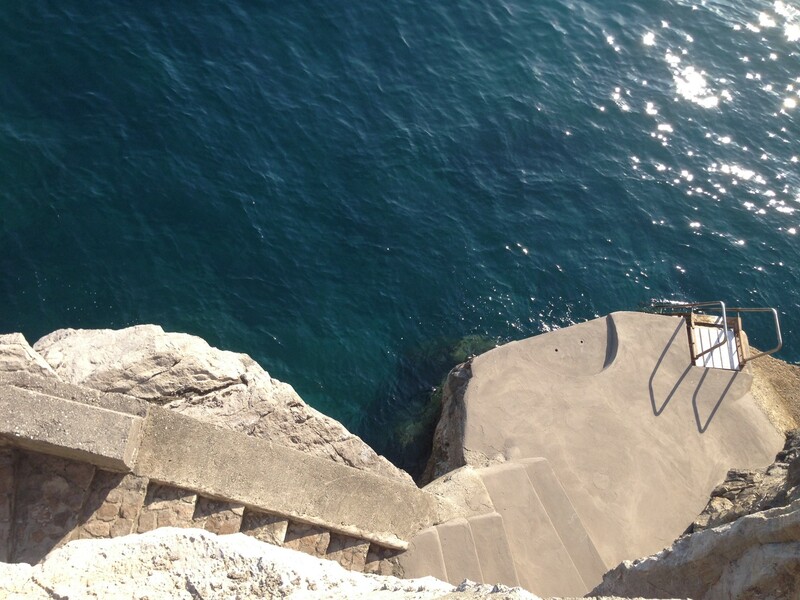 54 steps further take you down to the sunbathing platform, located right above the sea, and furnished with lounge chairs. 8 steps leads down to the lower level sunbathing platform furnished with an iron table and 6 chairs and 4 more steps lead to a partly shaded area with some more lounge chairs. 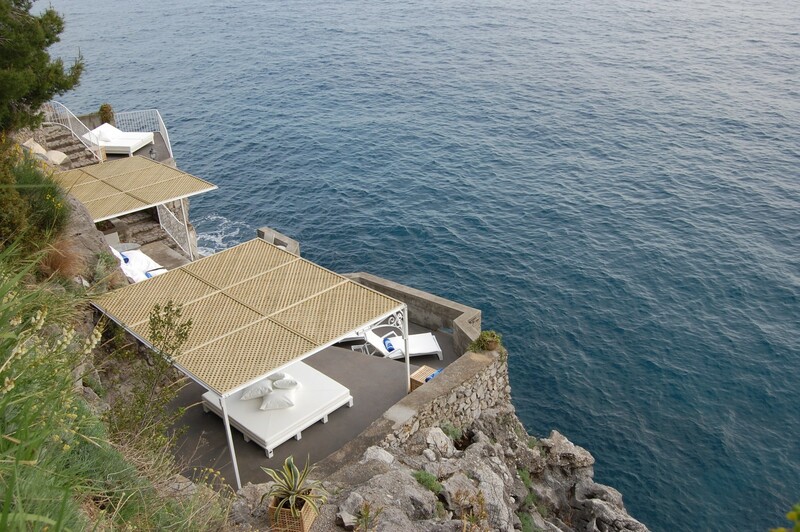 From the sundeck, the property’s last 40 steps take you down to the dock, at sea level, wherefrom a wooden set of stairs allows you to dive directly into the blue waters of the sparkling Mediterranean. 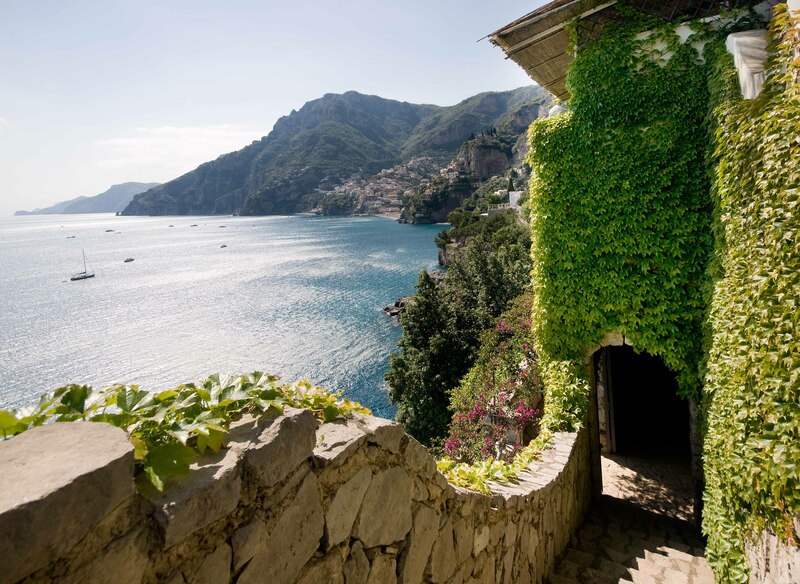 The entire pathway from the villa to the dock at sea level is lit and there is an intercom on the sunbathing deck that calls directly to the villa (for domestic assistance or other necessities). Any private boat rented during the week can pick guests up directly at the dock. 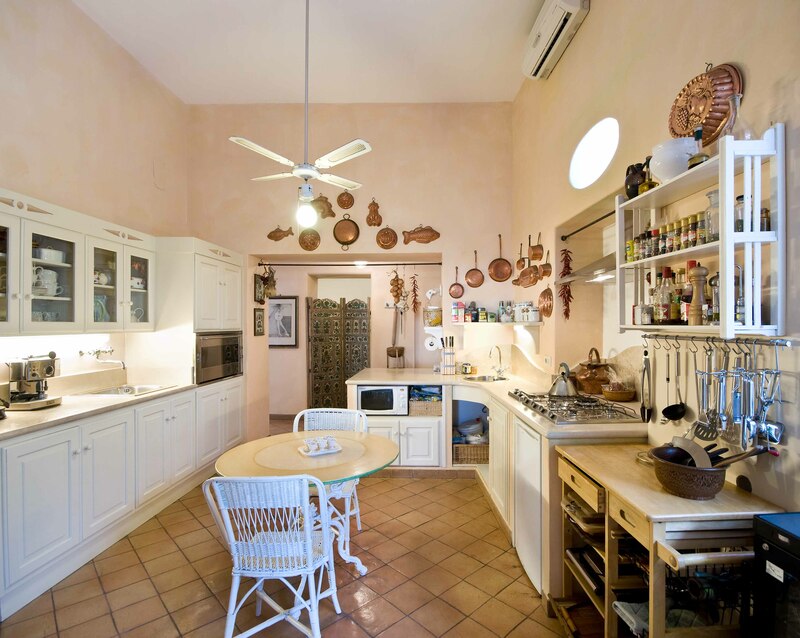 Villa Il Sogno has an annex apartment, which is indipendent; consisting in a living room with a soft sofa on the right hand side, a writing desk on the left under a large panormaic window with sea view. Behind a curtain, there is a doubke bedroom with the ensuite bathroom with shower. 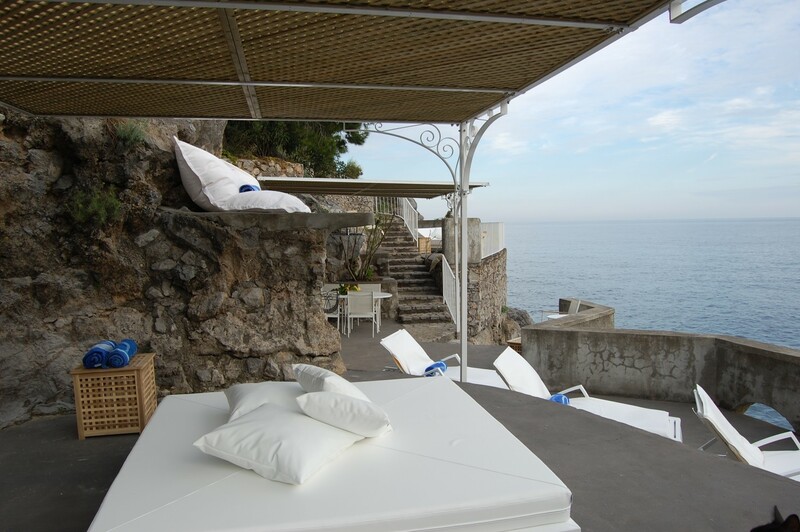 The apartment has also a private Sea faced terrace; relax area is ready to host you and give the most special sunset on Positano. 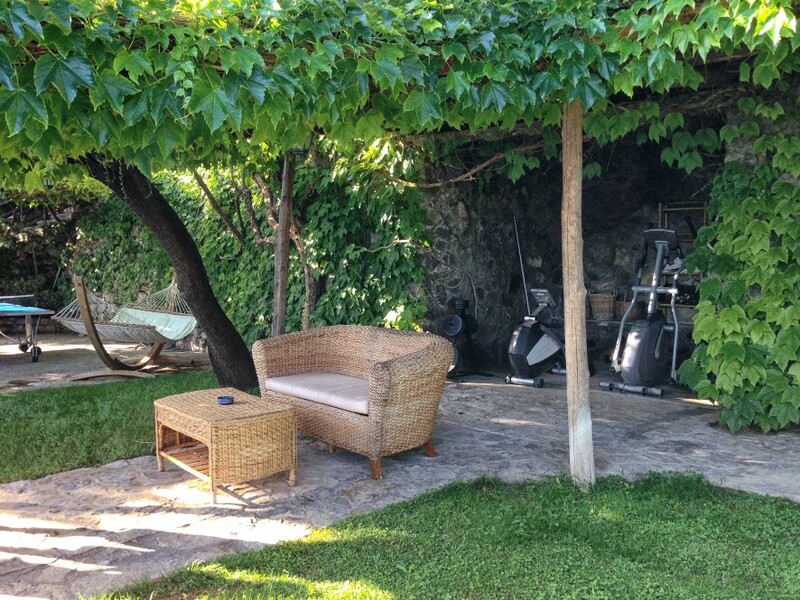 The property has also the private Wine Cellar with wide range selection of high quality wines. The guest can buy directly some bottle of excellent wine.